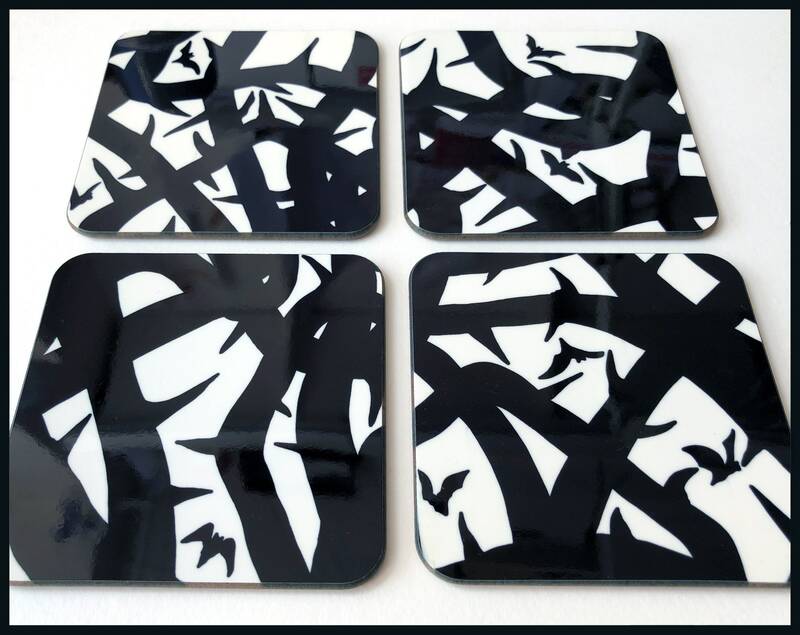 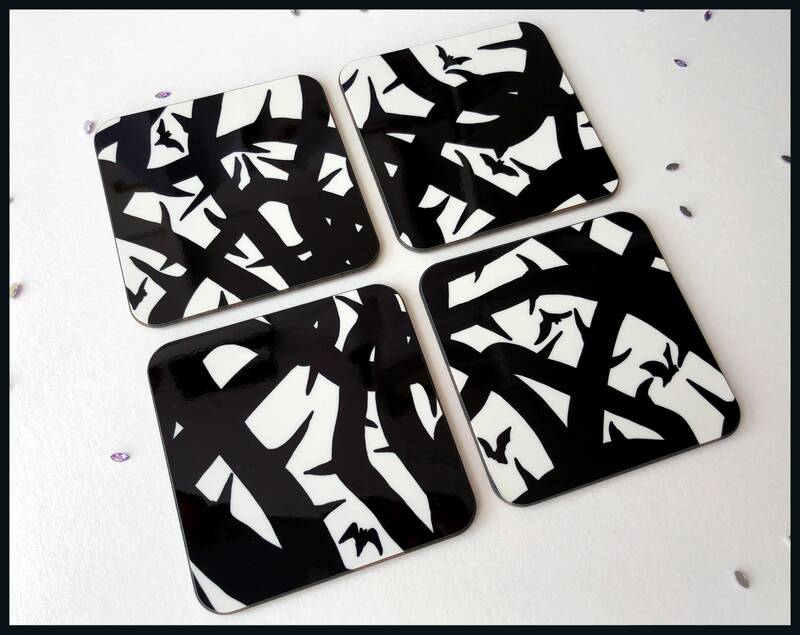 Inspired by the brambles that entombed Sleeping Beauty, this Set of 4 black and white 'Queen of Thorns' coasters are printed by hand and made to order. 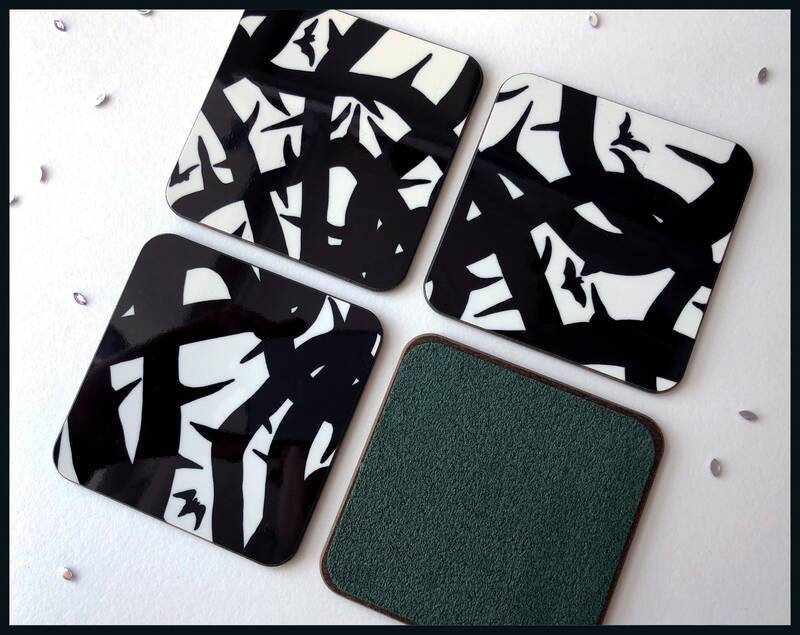 Add personality to your living or workspace with these beautifully illustrated, hand printed, baize backed Queen of Thorns coasters. 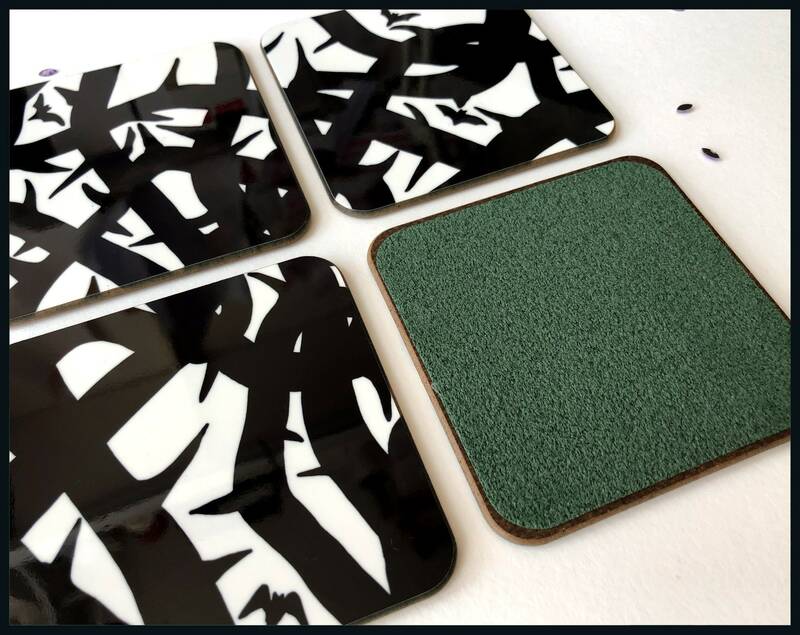 Coasters measure 9cm x 9cm are made from hardboard with a baize backing. 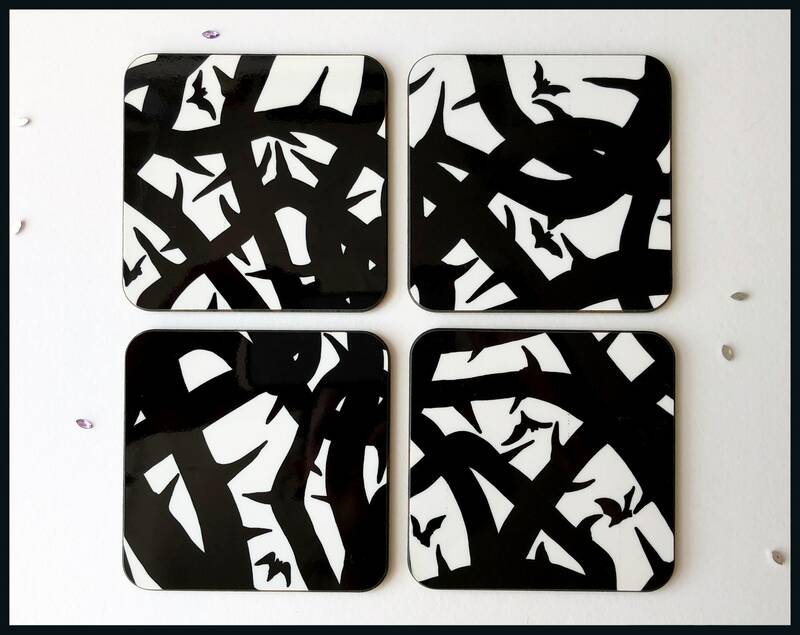 Wipe coasters clean with a damp cloth - please do not wash coasters in the dish washer.